Harmony 500 Director Sheila Nugent became Piney Hills Harmony's director in 2011. Prior to that she served as interim director and assistant director and has been a member of Sweet Adelines since 2003. Other chorus positions that she has held include president, board member, bass section leader and Visual Team member. 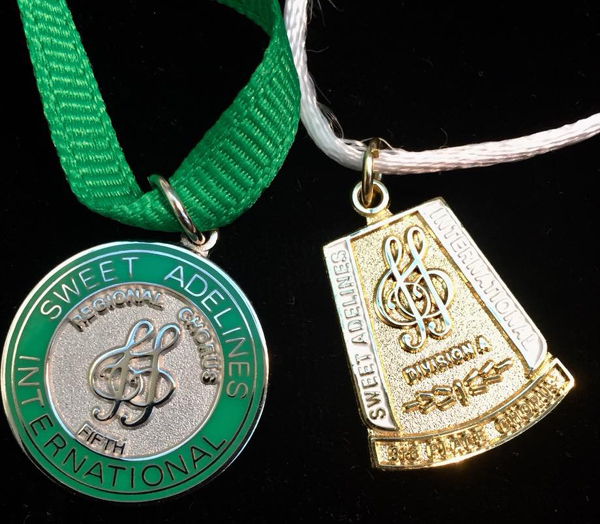 Sheila regularly attends Sweet Adeline regional and international educational seminars. She has sung bass and baritone in several quartets and currently sings lead with her quartet, Bella Bleu. She has also sung and competed internationally as a dual member with Top of the Rock Chorus in Little Rock, Ark. For her outstanding contributions to Piney Hills Harmony, Sheila was voted local Sweet Adeline of the Year (2004) and Sweet Adeline Extraordinaire (2016). Sheila has a deep admiration for Sweet Adelines International and for Piney Hills Harmony Chorus in particular. "I love the close-knit, familial relationship that our chorus has," she says. "The love and warmth that our chorus shows each other is unbelievable. It is truly an honor to be a part of such a talented, giving group of women." Sheila also loves to hear the "lock and ring" of barbershop chords. "To me, no other form of music can compare to barbershop. When four voices are so blended together so completely, so true and pure that an overtone is created simply through four voices singing together as one... the ability to create such a beautiful sound is truly a blessing from God." Sheila is currently the Curriculum Specialist at Simsboro High School. She earned her Doctorate of Education at Louisiana Tech University in 2012. She has been married to the love of her life, Kevin Nugent, since 2009 and has a wonderful step-daughter, Madeline. She and her family make their home in Ruston, LA. 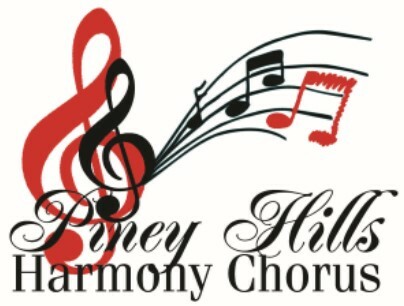 Please contact Sheila if you have any questions about Piney Hills Harmony! Our 5th-place overall medal and 3rd-place small chorus medal in Region 10's 2018 competition!